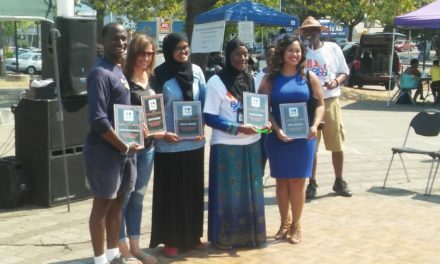 September 14 Feet First marked the beginning of the Walk2More Challenge, an 8 week long campaign encouraging people who live and work in Southeast Seattle to substitute short driving trips with walking trips. When people go by foot they slow down and take in the richness of our wonderful neighborhood. 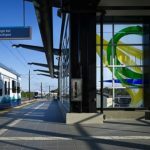 There are walking maps for the areas around the Link Light Rail stations in Rainier Beach. These maps will inspire Walk2More Challenge participants to find community assets, parks, bus routes, and shopping areas when traveling Rainier Beach by foot. 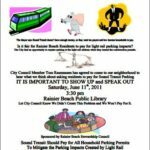 June 8, 2011 Who should pay for Sound Transit Parking?